The scenery looks perfect when driving there during the daylight hours. 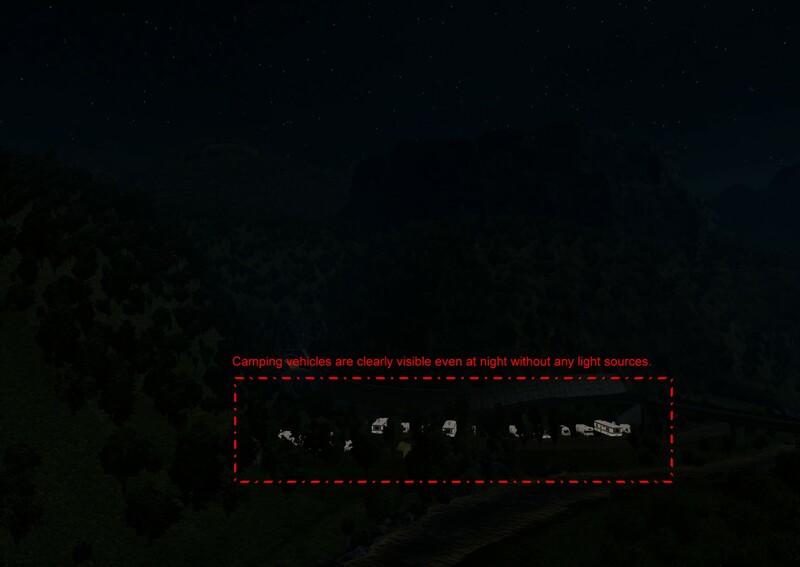 However, at night, the camping vehicles are just as visible as they are during daylight, even though there are no light sources in their vicinity, as you can see below. Not sure if fixable (probably the models or their mats need to be updated), but it may worth a check. Last edited by bmwGTR on 23 Jan 2019 15:27, edited 1 time in total. Added to bugtracker #17687, thanks for your report!